Doppler Photo: Photos and stories by Omari Stephens: Care for some tea? Stopped by the Blue Front Cafe this weekend with a friend. 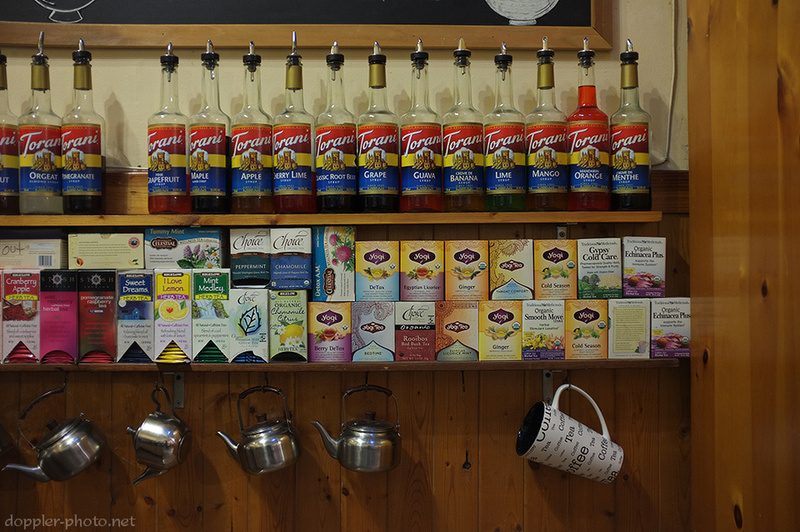 They had a varied assortment of teapots, teas, and flavored syrups hung on the wall in an arrangement I thought looked pretty nifty.